Off Range Road in Cumberland, Frog Pond is on the south side of Idlewood Drive and Salamander Swamp is on the north side of Idlewood. Parking is available on the side of Range Road. The public can enjoy Frog Pond and Salamander Swamp from Range Road and the entrance to Idlewood Drive. A public access trail on abutting conservation land is located 350 feet down Range Road from these wetlands. This small parcel protects Frog Pond, a small semi-permanent vernal pool, and Salamander Swamp, a shallow wetland across the road from Frog Pond. These wetlands provide vital breeding habitat for wood frogs, spotted salamanders, spring peepers, toads, tree frogs, and bullfrogs. Both Frog Pond and Salamander Swamp were donated in fee to CCLT in 1999 as part of the approval of the Idlewood subdivision by the Cumberland Planning Board. The Pond was well known to neighbors for its deafening chorus of spring peepers in April and as a prime breeding site for a variety of amphibians. Frog Pond harbors hoards of breeding wood frogs, spring peepers, and spotted salamanders just after ice-out, and beckons singing gray tree frogs, green frogs, and bullfrogs in May and June. These little amphibians can create a cacophony at night. 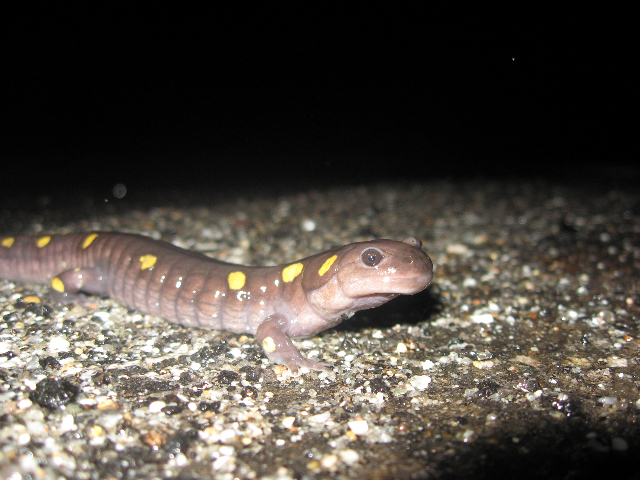 Yellow spotted salamanders also breed in the shallow waters. Following all the singing, masses of eggs decorate twigs all around the pool. During the day, you may be lucky enough to see a quick hop through the surrounding vegetation or a fleeting pair of legs swimming through the water. 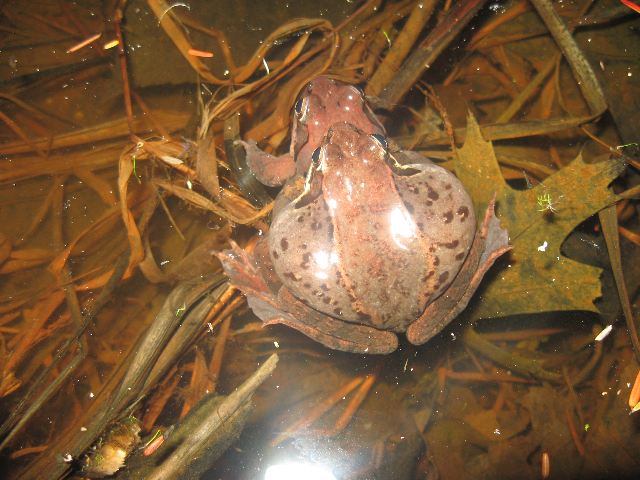 Starting in July, young frogs and salamanders leave the pool to spend the rest of the year in the leaf litter or underground tunnels of the surrounding forest. CCLT regularly monitors the water in the pond to assure that it will remain a thriving habitat for its amphibious residents.